Explaining the US can be tricky, especially since the truth is that in spite of our best endeavors, we really are in many ways a “nation” of separate countries. The word “state” was precisely chosen as a replacement for “colony” when our upstart ancestors declared independence because it meant a sole, sovereign entity. Which makes for fascinating political philosophy, I hear you ask, but what’s the point? Well, having lived there once (and I admit it was largely a negative experience, though I wouldn’t mind trying out Austin since I’ve heard good things), my family and I sometimes joke that Texas at its heart really is a separate country altogether. 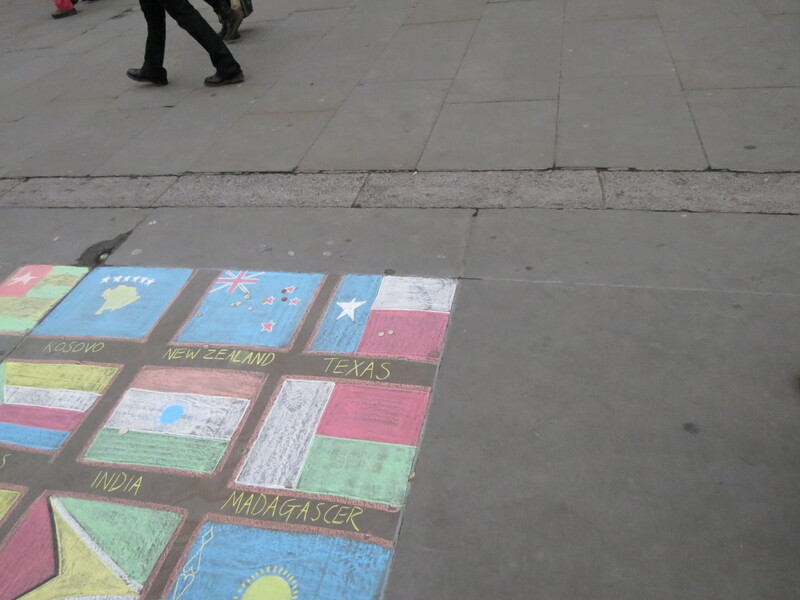 London recently confirmed my suspicions by way of a chalk artist in Trafalgar Square. Unless of course they’ve actually gone through with the threats of some of their most disgruntled citizens and seceded lately? Have I missed an announcement? HAHA that’s so ridiculous! 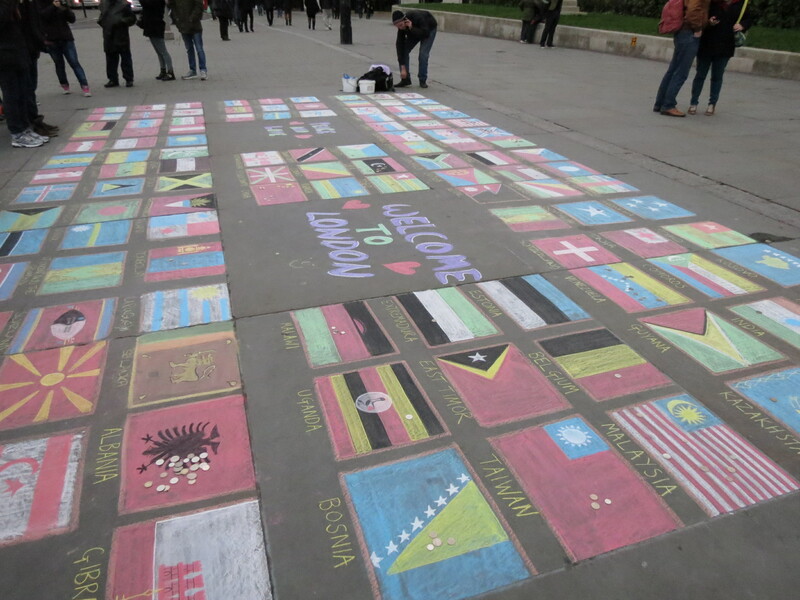 That’s so great that you even noticed that among all the boxes/flags. Fear not, the US had it’s own flag represented. Texas is just…being Texas in this case. All is well. Well, they also gave Gibraltar and Extremadura their own flags, and referred to Bosnia & Herzegovina as just “Bosnia”…so perhaps it was a very political artist? I will fight that revolution!